This article was originally published on April 25. WASHINGTON — House Armed Services Committee chairman Mac Thornberry introduced legislation Monday to scrap the Pentagon's main public policy document, the beleaguered Quadrennial Defense Review, and replace it with two major strategy documents from Pentagon leadership. The proposal, included in the HASC’s massive 2017 defense policy bill, would establish an advisory commission on national defense strategy and mandate regular, top-down policy guidance. The move answers criticism that the QDR — in spite of its value as a public window into major DoD Defense Department policy decisions — was a watered-down, consensus-driven product that required its own bureaucracy to produce. It is just one of These are just a few among other of the far-reaching proposals Congress is pursuing in its 2017 defense policy bills under the umbrella of Goldwater-Nichols reform — a moniker that invokes the 30-year-old law that delineated roles and responsibilities across the Defense Department and established the geographic combatant commands. The discussions in Congress have been aimed at revamping the Pentagon to be more agile and innovative in the face of today’s complex threats. The NDAA National Defense Authorization Act is only at its nascent stages. The HASC is expected to mark it up its version and vote later this week before it sends the bill to the House floor. From there, it must be reconciled in conference with the Senate Armed Services Committee’s version and survive votes in both chambers before it can be signed by the president. If the language on defense policy and strategy development endures survives, Congress would establish a classified National Military Strategy, produced by the Joint Chiefs chairman — a document that could have a real impact for the defense industry. The bill calls it the strategy a framework for the development of war plans that would also guide joint capability development and resource investments by the services. Also, the defense secretary would create Defense Strategic Guidance to guide direct the size and shape the force, the development and sustainment of capabilities and how the Pentagon should respond to shifting global threats. Separately, it would create guidance for force development and contingency plans. 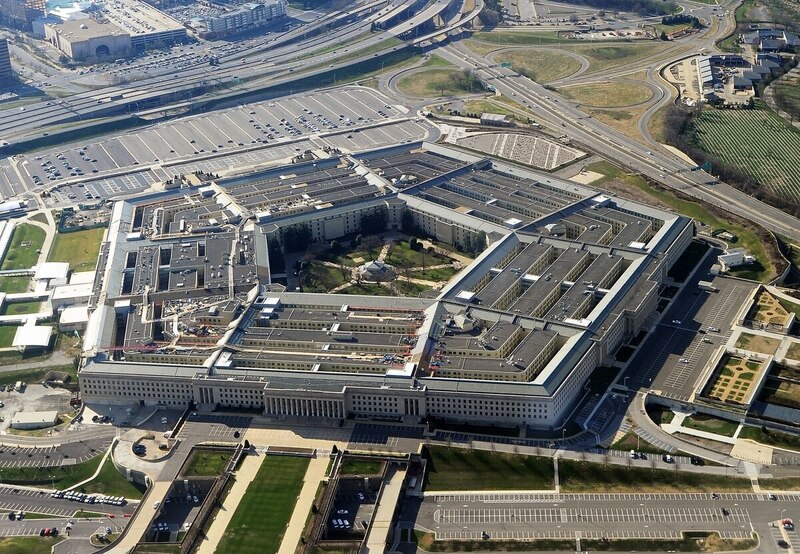 The is is to simplify the strategy and policy guidance required of the Pentagon while avoiding the "standing bureaucracies" dedicated to assembling them, the bill says. "It's all about being a top-down driven product to get at prioritization, force size and shape and resources," a HASC staffer said. The bill does not say explicitly whether the defense secretary's guidance would be publicly available, but it makes clear that the congressional defense committees would have access to it, classified or not. The bill also calls for a "Commission on National Defense Strategy for the United States" to examine and make recommendations to the president, defense secretary and relevant Ccongressional committees. The aim is to reach a bipartisan consensus on national security — and although the bill does not spell it out, it would be made up of seven "greay-beards" appointed by members of the HASC and SASC, according to a HASC staffer. he new commission would issue one report and would only be continued beyond one year if Congress and the president decided to do so. Former Undersecretary of Defense for Policy Michèle Flournoy, a veteran of multiple QDRs, was a staunch advocate for overhauling Pentagon strategy development. She offered blistering criticism of them QDR in congressional testimony in December, saying the process is y are guided by "parochial interests … ahead of national security interests." "Over the years, the QDR has become a routinized, bottom-up staff exercise that includes hundreds of participants and consumes many thousands of man-hours, rather than a top-down leadership exercise that sets clear priorities, makes hard choices and allocates risk," said Flournoy, now with the Center for a New American Security. "In addition, the requirement to produce an unclassified QDR report tends to make the final product more of a glossy coffee table brochure written primarily for outside audiences, including the press, allies and partners, defense industry, and the Hill." On the Senate side, Sen. John McCain, R-Ariz., indicated at the December hearing where Flournoy testified that he was underwhelmed by the Pentagon’s process for developing strategy. Citing a 2010 Ccongressional analysis of the QDR, he which said QDRs have become "explanations and justifications, often with marginal changes, of established decisions and plans." "The development of policy, strategy, and plans in the DOD has become paralyzed by an excessive pursuit of concurrence or consensus," McCain said. "Innovative ideas that challenge the status quo rarely seem to survive the staffing process as they make their long journey to senior civilian and military leaders. Instead, what results too often seems to be watered-down, lowest common denominator thinking that is acceptable to all relevant stakeholders precisely because it is threatening to none of them." The bill extends the Joint Chiefs chairman's term of office from two years to four, staggers the term outside of the four-year presidential election cycle, and reinforces the role to provide independent military advice to the president and defense secretary. The chairman would also be vested with advisory responsibility over operations and the transfer of forces among combatant commands. That language echoes a recommendation from Defense Secretary Ash Carter and Marine Gen. Joseph Dunford, the Joint Chiefs chairman, who said his job just be to cross the boundaries of the US geographic combatant commands and provide a "a common operational picture and a common intelligence picture," versus multiple pictures from the nine unified combatant commands. Earlier this month, Dunford said DoD is also developing a classified national military strategy due for release by the end of next year, with drafting sessions underway since March 28. The bill would cap the commander’s rank of combatant command chiefs at three stars or below and cap the number of four-star officers to five., b Both moves are aimed at lawmakers concerns the chain of command has grown top-heavy, and that adding "distance and layers between commanders and warfighters, and slows decision making and agility of command,." according a summary of the bill. "A four-star brings a certain magnitude of staff with them, so we would direct that it be bumped down to a three-star," said one HASC staffer. "It will have a ripple effect throughout the COCOMS, but also through the services. You are basically going to direct a reduction in the number of flag officers." In her Ccongressional testimony, Flournoy blasted the inefficiency and effectiveness of the Pentagon’s "bloated" headquarters staffs. According to her figures, the Office of the Secretary of Defense has more than 5,000 people, the Joint Staff has nearly 4,000, and the combatant command staffs have almost 38,000. "In the private sector, bloated headquarters staffs have been documented to slow decision-making, push too many decisions to higher levels, incentivize risk averse behaviors, undermine organizational performance and compromise agility," Flournoy said. "The same is certainly true in government. What's more, in the DoD context oversized staffs consume precious resources that could otherwise be invested in strengthening our warfighting capabilities." Patricia Kime contributed to this report.